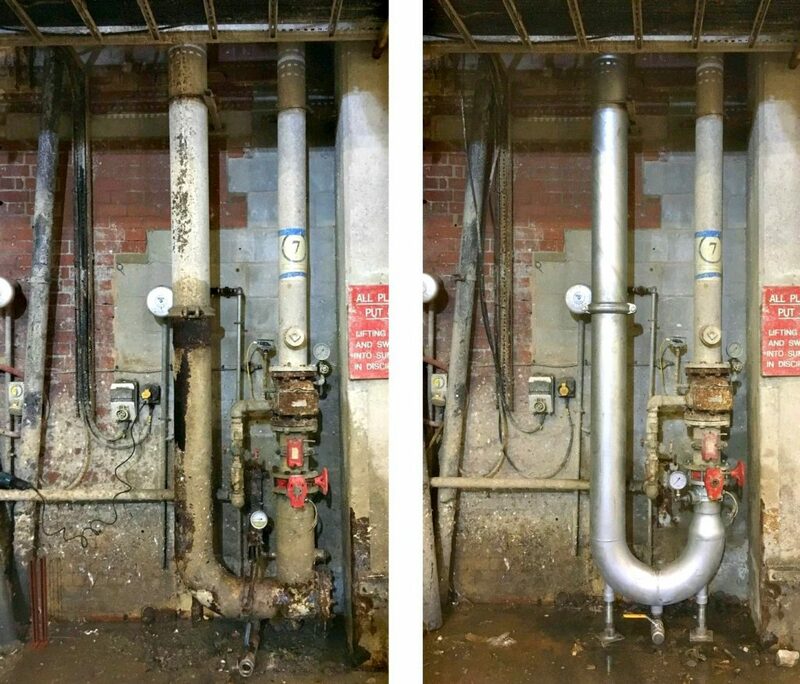 J&J have replaced corroded pipe at one of our client’s paper mill plants. J&J service and maintain the sprinkler system at SCA in Ramsbottom. Given the paper mill’s atmosphere, much of the older pipework is subject to corrosion and as such it is important that our engineers fully inspect all parts of the system and identify areas of the sprinkler system that require replacement/improvement. In this case, the existing sprinkler main was at risk of becoming dangerously corroded and therefore was replaced for a new galvanised section of pipework.